Hey, everyone! 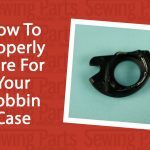 I’m Sarah with sewingpartsonline.com and today we’re going to clear up some of the confusion surrounding snap on presser feet, specifically Singer’s snap on presser feet. When you think of a snap on presser foot, you usually picture this. It’s a pretty generic snap on presser foot. As you know, it attaches to a snap on presser foot adapter. I’m holding a low shank one. They go together like this. It’s pretty simple and you see these a lot. However, Singer decided to do their own thing and make a proprietary low shank adapter and a proprietary slant shank adapter. These adapters fit their own proprietary snap on feet. These are sized a little bit differently than the ones you’re used to seeing. Let me show you what I mean. For the sake of this video, we’re going to call the Singer proprietary adapters and proprietary feet “skinny adapters” and “skinny feet” because their attachment bar is just a little bit skinnier than the regular snap ons. Let’s compare the two types. This is our skinny snap on adapter . This is our regular snap on adapter . This is a skinny snap on foot. This is the regular snap on foot. See the difference? As you can see, the regular snap on feet won’t work with the skinny snap on adapters. And the skinny snap on presser feet won’t work with the regular snap on adapters. Bottom line, skinny adapters go with skinny snap ons. But wait, there’s more. 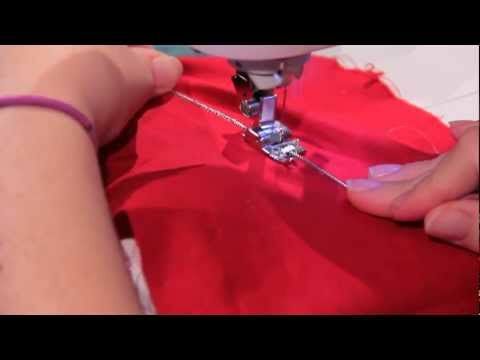 Sewing part manufacturers are notorious for not telling anybody what parts are compatible with what. It’s a big mess. Which is why at Sewing Parts Online we take the time to test the parts, find out what’s compatible with what, and then guarantee it. During one of these tests, we discovered that the [skinny] low shank adapter and the [skinny] slant shank adapter are sized differently. This means that even though you know you have a skinny snap on presser foot, it doesn’t mean that it will necessarily fit with your skinny snap on presser foot adapter. You must first determine what kind of shank type you have to make sure it will fit the presser foot you have. We know that’s a lot to think about, so we figured it out for you. I hope this was helpful. For more information about these feet and what adapter goes with what, visit our blog. The link is in the description below. If you need any of these parts, visit us online at www.sewingpartsonline.com. If you want to come and hang out with our sewing community, visit us on Facebook, Twitter, Google+, Pinterest, and Instagram…we’re everywhere. 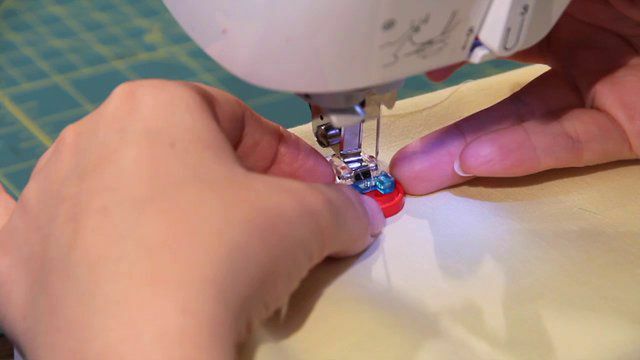 Be sure to like this video, share this video, and, of course, subscribe for next week’s sewing video. 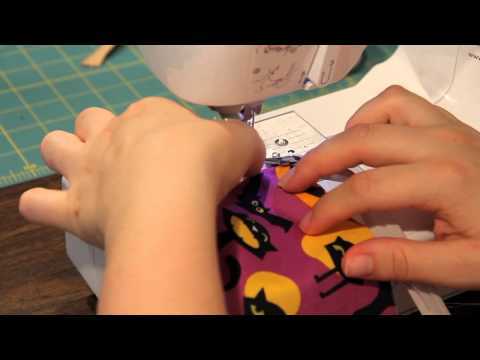 With over 15 years of seam ripping under her belt, her passion is teaching others how to sew, serger, quilt and craft. Hello, I always appreciate how helpful you guys are when customers have questions about SM parts! 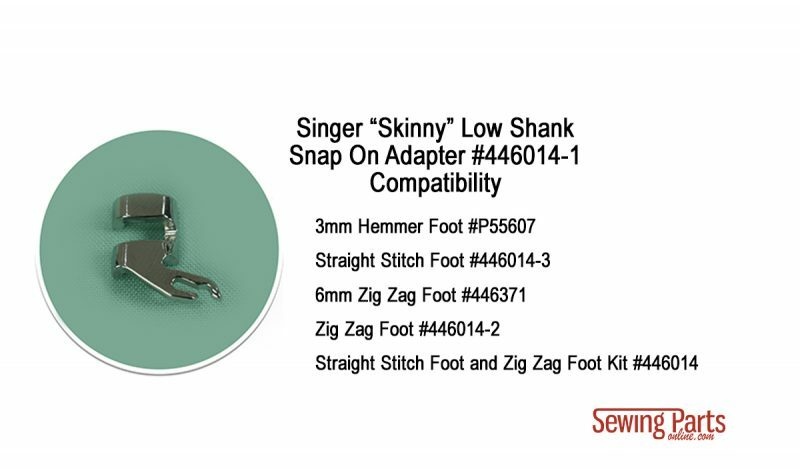 Right now I am looking for some of the snap-on feet that would have come with a Singer 354 (Genie) like the zipper foot. I didn’t see a zipper foot among the “skinny” snap on presser feet you featured. Do you carry that? I just bought the Quantum 9960 and my binding foot that came with it dosent fit the shaft. The shaft is too wide. Is there any way to replace it with one that fits? Or an adaptor? I am sorry I do not have more information for you. I cannot believe that nobody makes a slant shank adapter for the modern, wider bar presser feet instead of just the skinny adapter. I had a friend print me one on his 3D printer. Works, okay, but the foot pops off really easy. Seems this would be a really great item, because there are so many enthusiasts for these old Singers like the 500a like I have. I’d love to use the feet from my Baby Lock. I have a Singer Merritt 8734 that was given to me and there isn’t a presser foot holder or presser foot with it. What should I order? Hi have not been able to determine what kind of presser foot fits my singer 401a slant machine and how to get it, please help me out. Hi, I have inherited my mother’s Singer 6235 machine, and I would like to buy a ruler foot and template, for free motion quilting but still can’t determine what size shank I have. Please can you advise. I also live in France do you post to France? Hello Pauline! I am showing that your machine is a slant shank. Unfortunately, we do not have a slant shank ruler foot for your machine and we are not able to ship to France. Please accept our apologies. Hi. I have a Singer Touch and Sew Model 603. My current feet are attached with a screw. Will one of these adapters work so that I can have the convenience of using the snap on feet? Hi, this has been terribly informative and I so appreciate that. I would like a little bit of clarification. And this may perhaps seem like a stupid question, but unless I missed it, it was not addressed, at least not explicitly. Outside of the skinny Singer snap on what not, are all other snap on feet, the wide ones, usable with all snap on adapters, again the wide ones? And I do understand that without specific information as to make and model and shank type and all of that hoopla, that you’re not able to guarantee this. But, in general, outside of the singer ridiculousness, the rest of them should all fit, yes? I don’t think I’m alone in this that my family has acquired, or somehow grown organically, multiple machines. I know for sure that we have at least four different sewing machines stashed around our house, and the only one that is very obvious in having its own specific feet is the ancient Kenmore machine. The rest have different shank types and different adapters but all of them, including the Kenmore, seem to work with generic, wide, snap on feet. I say “seem to” because, I’ll be honest, I haven’t compared them all side-by-side. I only know where two of them are right now, and I’m not getting the other one out. Anyway, none of my organizational attempts have actually cleared up this mess for me. I like to work on the Kenmore, it works well for me, and it keeps its tune FOREVER. I’m looking to purchase some feet for that machine, but am unsure if I need specialty snap on feet or if the generic, wide, snap on feet will work. We would be more than happy to help you find the appropriate feet for your different machines. Unfortunately, there is not a way to cover information about every machine in a video; however, if you can contact us with the make and models of each machine, we will be happy to assist you. We can be reached at info@sewingpartsonline.com. Okay, thank you for your response. I do appreciate that you’re willing to help me with my individual machines, and I’m willing to do that if it’s necessary. And if it is necessary, perhaps that’s an answer to my question right there. 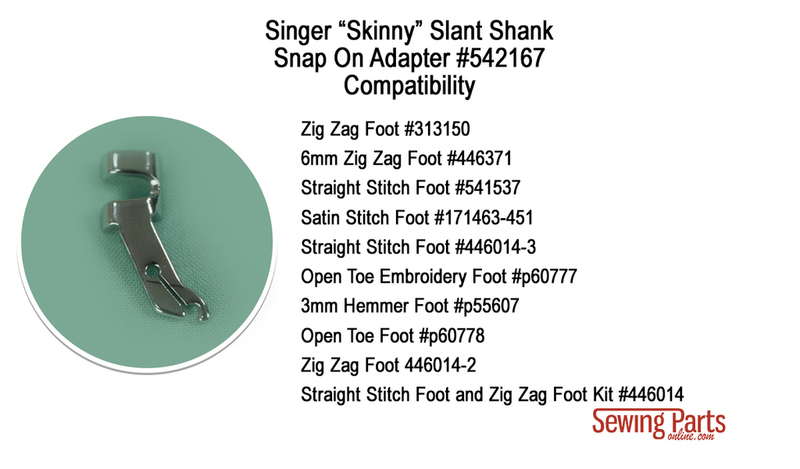 Outside of the skinny Singer snap on what not, are all/ most OTHER snap on feet, the wide ones, compatible with all/ most OTHER snap on adapters, again the wide ones? Or perhaps the other end of the question would be are the Singer feet and the Singer adapters the only outliers? My question really is in reference to the adapters, which I have several of, and the snap on feet themselves, and whether or not, since I ALREADY HAVE THE CORRECT ADAPTER FOR EACH MACHINE, I need to worry about correct feet for each adapter? SORRY! All caps should not be read as shouting please. I just don’t know how to convey proper sense stress in text. Also, I promise not to take anything you say regarding what SHOULD be true as a guarantee that it WILL be true. Also, sorry, I’m really bad at this being concise stuff. I’m trying to find a shank for my singer. All I have seen are the snap on and mine has a screw. It is a small short one. My sewing machine model number is 57815C. According to the parts list of your machine, there is a skinny low shank adapter and a snap on foot. It may appear as one complete foot, but it is made up of two pieces. I purchased this adapter from Amazon: https://smile.amazon.com/gp/product/B003UO2WZO/ref=oh_aui_search_detailpage?ie=UTF8&psc=1 which *does* fit on my Singer 628 and 648 Touch n Sews. But, the foot set I bought: https://smile.amazon.com/gp/product/B0096EG4B0/ref=oh_aui_search_detailpage?ie=UTF8&psc=1 doesn’t work with this adapter as the bars on them are too skinny to clip into the adapter I bought. What do I need to purchase exactly? The two links posted for “zig zag and straight kit” look to have the same adapter which looks like the wrong one for me. I don’t want to buy the feet and have them not work either! Also, is there a zipper foot that is snap on compatible for my machine? Do you have one that fits the Singer 127? I didn’t see that model listed on the ones I looked at. I’m assuming it would also fit the model 27 treadle. Hey there, I have a Singer Merritt 4530, which has a low-shank skinny snap-on adapter. Looking at the wide snap-on adapter that you sell, it doesn’t look like my machine is guaranteed to fit with it. Can you give me more information on whether it will fit? My sewing machine is Singer 328K low shank and straight presser foot. I want to do monogramming using the vintage Singer monogrammer, which foot or adapter that I need in order to use this monogrammer? Please recommend. Thank you so very much. I am sorry for the inconvenience. Unfortunately, we do not have any information on the Vintage Monogrammer to guarantee any adapter on our site. Please accept our apologies. I would suggest contacting Singer directly for that information. Hi…. I bought a 1/4″ quilt foot but it does not clip onto my singer, I’ve never had a problem before. Do I need an adapter? It is singer 6269/9900. Is it low shank or high shank. I would recommend contacting our support team at 888-824-1192 with the model #’s of both machines and they can look up the answer for you. Very good info but I don’t see info on the foot I’m interested in. Please let me know if it will work. I have a 500A Rocketeer and wanting a overcast foot. Will the slant shank adapter and overcast singer foot work together on my machine? Help! So confusing. Thank you for your help. i am looking for the skinny slant shank snap on presser foot for 1/4 in quilting. Is there such a thing and where can I find it. My machine is a 9420 model. I am officially mind-boggled with trying to figure out what to buy. I have a Singer 401A, which I love, but I haven’t seen its attachments since I moved over a year ago. Every description I read seems to say maybe, maybe not. I feel like I should pluck daisies. I’d like to buy a kit, if possible, but I’d need a slant shank adapter as well, and I can’t seem to match any up. Every kit I find mentions other brands it will fit, and I know that can’t be right, because Singer’s the oddball. Can you help me? I had a Singer 1120 with about 20 different feet which died. I was gifted a Singer 9134 which has the skinny slant shank. Will this adapters on your website left me use the 1120 feet with the 9134, Snap On Shank, Slant Shank #5011-60? It says it fits the 9134 but not sure about the width of the bar for the feet. Hi Jennie! The #5011-60 is a generic shank so it is not guaranteed to fit all of the wider snap on feet. However, it should fit most wider snap on feet rather than the skinny shank that originally came with your Singer 9134. The #5011-60 is the best option to try in this case. I hope this helps! This is the most comprehensive explanation on the subject. Thank you. I have a Singer which uses a slim shank. It looks like it fits under category high. What kind of adapter do I need so I can use presser feet with wide bars? The machine shows “Harmonie 200” on it. Wonderfully enlightening! Thank you. I could use some additional help if you have a moment. I use a Singer model 27 (an old treadle machine, circa 1907, with the vibrating shuttle bobbin) for piecing my quilts. It sews like a dream and the stitches are tighter than those made by my Viking Designer 1. 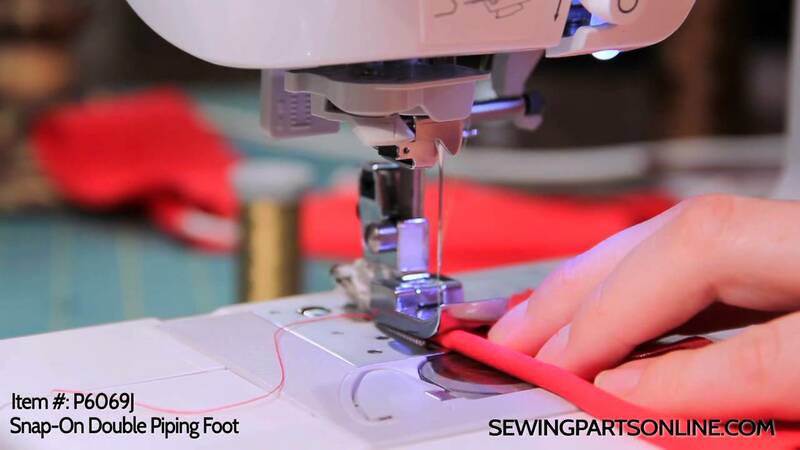 I would love to pick up a 1/4″ guide foot for it as I’ve been using a general purpose foot plus a seam guide that I have to remove and replace every time I change the bobbin. An adapter would be great, but I’m not sure if any snap-on adapters work with my machine, and because of its age it’s really difficult to find accessories for it or even information about what will work with it. I have a Singer 6235 with a skinny slant shank for my skinny feet. Is there an adapter I can buy to fit the fat feet? I came across the fat feet in my shopping travels but they don’t fit my shank. It seems simple enough to just screw on a shank that attaches to the fat feet. Can you help me? Hi! Unfortunately, the slant shank snap-on adapters only fit the skinny snap-on feet. There isn’t a way to use the wide snap-on feet with a slant shank machine. I’m so sorry – I know it’s disappointing. Do you know if it’s possible to convert an older low shank screw on Singer foot to a slant shank style? I am trying to use an old hemstitching foot from a Singer 221 on my Singer 401a (to my knowledge they never made a hemstitch foot for my machine). If you know of an adapter that might fit I would be grateful! Hi, Toni! I wish there was! Unfortunately, a low shank cannot be converted to a slant shank or vice versa. I’m sorry! I have an old Singer 6215c machine and would like to purchase a 1/4 inch quilting foot. I’ve bought a couple online, and none seem to fit the shank. Can you advise what foot would fit my machine? Hi, Jennifer! I will need to contact Singer directly to find a guaranteed snap on shank for your machine. I should probably have an answer by Tuesday evening. Thank you for your patience. I am a beginner, I have ordered my first sewing machine SINGER Promise 1512, however I noticed that I will need a overcast/overedge presser foot. My worry is that I might buy the wrong one. Can you advise me where and which one to buy. The SINGER website seems to every presser foot listed – except the one that I need. Wanted to buy the BindiGo Bias/Tape Binding Foot. I have a Singer sewing machine, model 9110DV, Serial number N433501134. Can’t figure out if the high or low shank adapter will fit the bindiGo presser foot. Can’t you help me determine which adapter will fit the bindiGo binding foot. I have a Singer 57817C will the Buttonholer Ruby Slant #RB-S fit this model? And would you please do a tutorial for the buttonholer? I just discovered your VERY informational site today and would like to say Thanks! I have a Singer Touch & Sew 758 that one of my cousins gave me about 5 years ago. She didn’t use it anymore and since I and my daughter both sew … Anyway, haven’t used it much but now I’d like to purchase a roll-hem foot, but it appears pretty complicated after doing some research online. Can’t buy a universal foot, this machine has a short, slant shank ….. Could you advise me please? I want to roll hem some chiffon that I had printed with some of my Mom’s artwork. I may have to hand hem or give them after Xmas….. I have a Singer 4562 T and they (Singer) told me it’s a slant shank machine. I bought several feet for slant shank, but most of them don’t work with my machine. When I read about machine compatibility with any foot, my machine number does not appear anywhere. Do you know why? Is it too old? Any suggestion what should I do to have fancy presser feet compatible with this model? Thanks!! Hi, Amalia! Did you buy those feet with us? Are they not fitting on your shank? I didn’t buy them at Singer, maybe that’s the reason. Thank you for your answer! Great help!! Have a wonderful Christmas!! Hi Sarah, I just ordered a Teflon foot but it can’t get it to attach to my skinny low shank adapter that fits on my Singer 2808c machine. Help! I’m starting to freak out, I have a number of bags to get started on for Christmas. Hi Sarah! I just bought a Singer presser foot kit but to my dismay, they don’t fit to the skinny low shank adapter of my sewing machine. Can I change the shank of my sewing machine so it fits to the presser feet that I just bought? If yes, what kind of adapter do I need? Thank you and I look forward to your response. Hi Laura! You can change the shank to fit the wider snap on presser feet. What is the model number of your machine? Hi Sarah! It’s a Singer cg500/550. I would like to know where in the machine I can find the Model Number for a Singer Sewing machine. It is an old machine which was given to me and I lost the presser foot when I was transporting it. Singer machines have the model numbers are located on either the bottom of the machine, the back of the machine, or on the right side of the machine below the handwheel. It is not located on the motor. Dear Sarah, I have a Singer Creative touch fashion machine 1036 with I think a slant foot? I’d like to purchase a kit with a variety of presser feet but don’t know if they make a set that fits my machine or if they make an adapter shank that will work so I can purchase a universal set. I also saw a foot that trims the fabric like a serger. Can you offer any suggestions? Hi, Mary! Yes, the #5011-60 will fit your machine and will work with the kit. 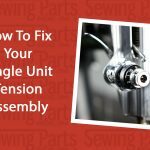 The https://www.sewingpartsonline.com/free-motion-guide-foot-singer-p60417.aspx will also fit your machine. I’ve been sewing since age 9. I am 62 now. havent sewn in a number of years due to illness in my family. Have nothing but time now and tons of material. I have several older machines and several boxes of singer accessories. about to start making aprons, thinking of using bias binding. 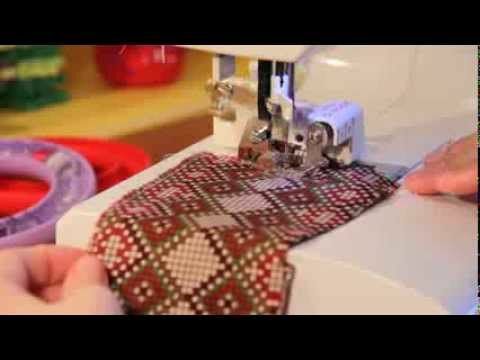 this video has me thinking of buying a new machine and new attachments. i did not want to spent that kind of money. Hi, Annie! We have many attachments for older machines – even some that attach binding for you. 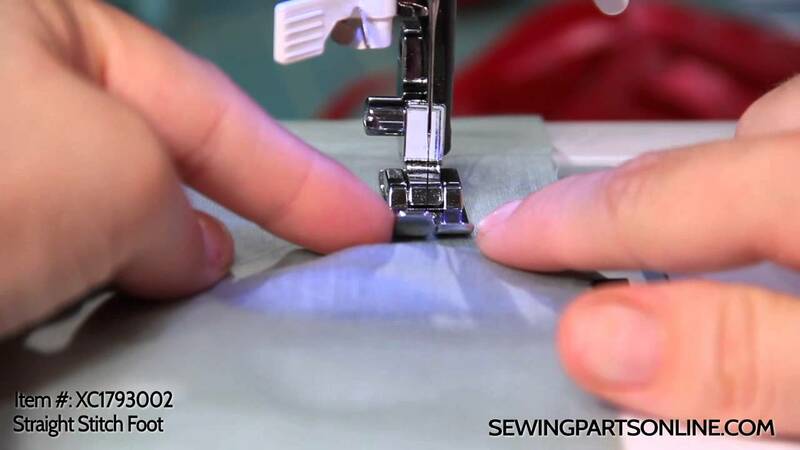 Which sewing machines (make and models) do you own? I just bought a 42 pc presser foot set that was supposed to fit my Singer low shank and it does not fit in my shank wondering if I can buy a shank that will fit my Singer low profile feet set and my Singer Model 428 so that I can use my new feet? Hi, Linda! I don’t see any information on a Singer 428. 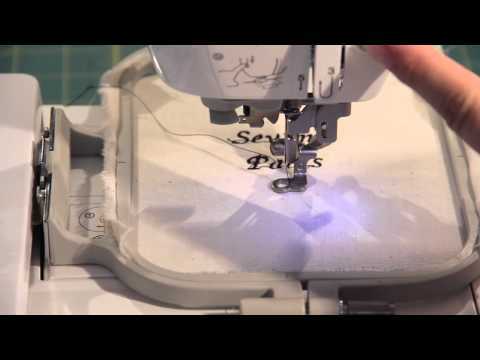 Is your sewing machine a Singer 4228? Has anyone made a 3d printer attachment making singer model 9034 slant shank fit the new standard universal snap on feet? That would be brilliant, but not that I know of. Hi I have a 30year old Kenmore sewing machine and would love to find a 1/4 inch foot for my quilting projects. Any suggestions as to where I can find one? Hi! We have many presser feet for Kenmore machines. Do you know your model number? I’m looking for a telescopic thread guide for a ZUKI baby lock. It’s a 4 thread I need. Do you have one? Copyright © 2018 - Sewing Parts Online. All Right Reserved.